It’s time to dig out those glad rags and practice your moves for an evening of dinner and dancing on Saturday 10 September in The Butterfly House at Castle Gardens. In aid of Fortuneswell Cancer Trust, there will be live music from 50s, 60s and 70s covers band, Will Geeson and Louisa Glanville, plus Guitarist on Wheels, and The Walled Garden Restaurant will serve up a delicious supper. Tickets are available from Castle Gardens and cost £10 each, which includes food. Please feel free to bring your own wine and dance the night away. 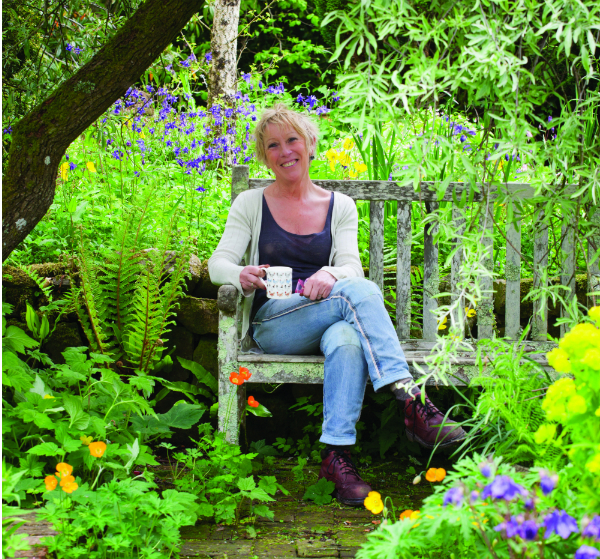 We’ve teamed up with Winstone’s Bookshop in Sherborne to welcome author and TV presenter, Carol Klein, to Castle Gardens on Wednesday 18 November at 7pm. As part a book tour to promote her latest release, Making a Garden, the Gardeners’ World and RHS Chelsea Flower Show presenter will be giving a talk, as well as signing her new book in The Butterfly House. Tickets cost £10 per person, which includes refreshments in The Walled Garden Restaurant and £5 off any book purchase from Winstone’s ‘pop-up’ Bookshop on the night. Advanced booking is essential and tickets can be purchased from Winstone’s Bookshop on Cheap Street, Sherborne and Castle Gardens on New Road in Sherborne. Doors open at 6:30pm.